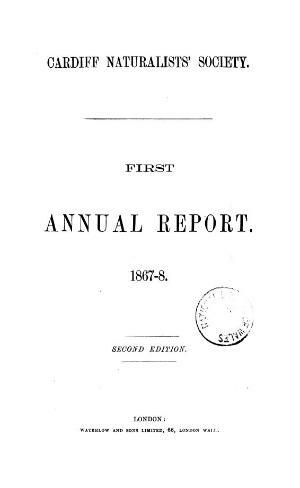 The periodical of the Cardiff Naturalists' Society, founded in 1867 to promote the study of natural history, archaeology and other sciences in Wales. The periodical's main contents were reports of the Society's activities alongside articles on natural history. Amongst the periodical's first editors was the mining expert William Adams (1813-1886). Associated titles: Transactions (Cardiff Naturalists' Society) (1987).